Everyone’s favourite duck, Donald is a true Disney icon. 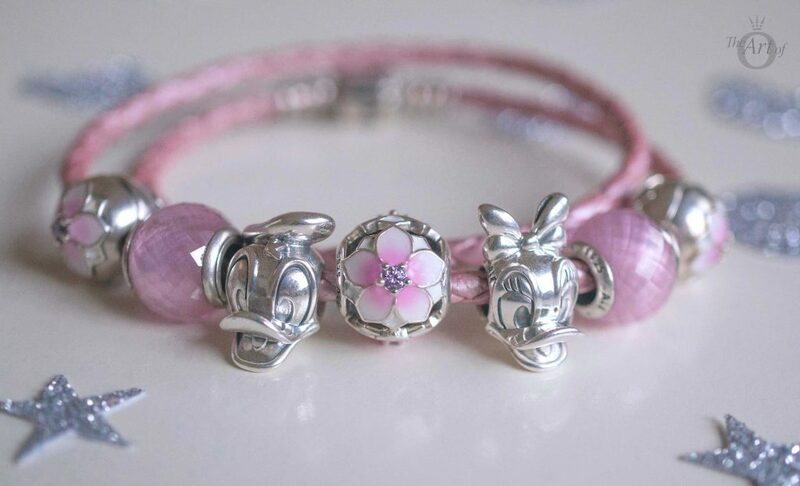 Pair him with his sassy sweetheart Daisy Duck for a Disney delight! 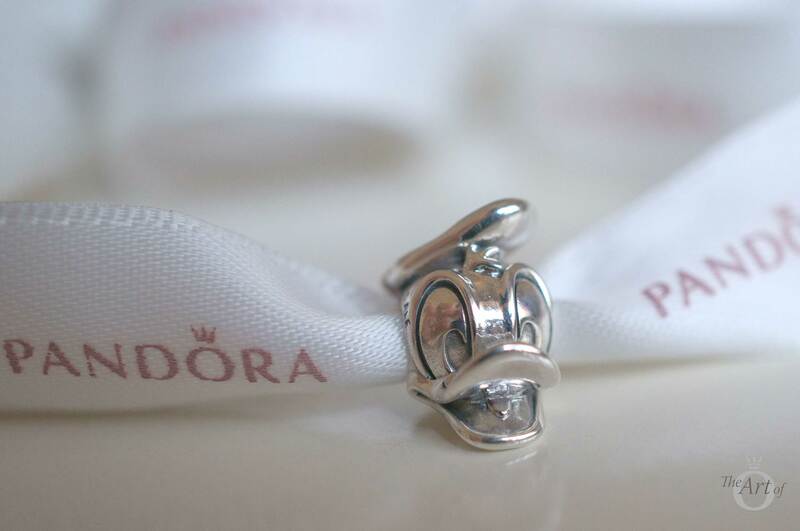 The PANDORA Disney Spring 2017 Collection was full of lots of must-haves for me including the engaging Donald Duck (No. 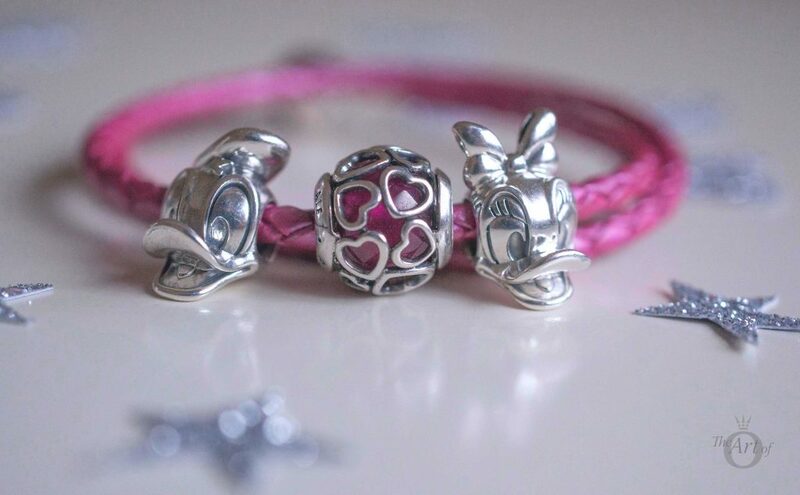 792136) and Daisy Duck Portrait Charms (No. 792137). Donald and Daisy’s personality and expressions have been captured perfectly in these two adorable portraits. We all love Donald for his impulsive personality and he is often remembered for his infamous temper-tantrums. Yet as much as Donald is quick-tempered he is also kind and lovable. The PANDORA Disney Donald Duck Portrait illustrates all the facets of Donald superbly. 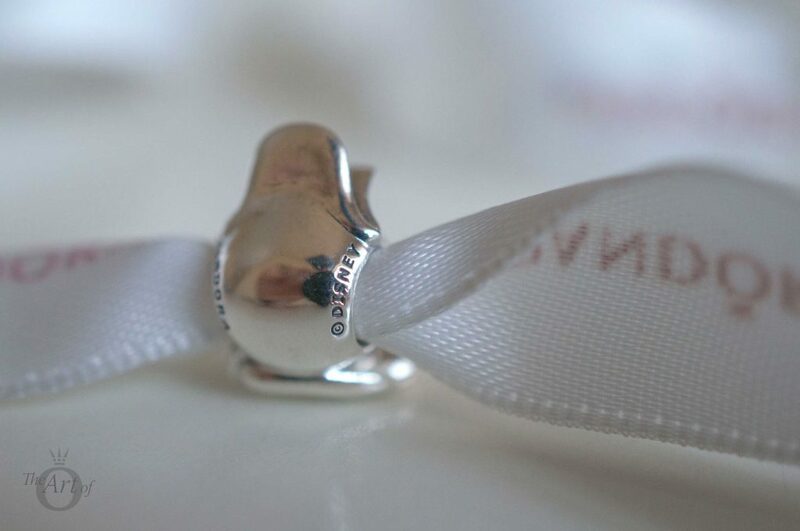 One of my favourite details on the Donald Duck Portrait Charm is his little tuft of hair standing on end. His parted mouth suggests he is also about to say one of his quirky sayings. Of course Donald wouldn’t be Donald if he wasn’t wearing his little sailor hat. In the ‘This is Your Life, Donald Duck’ comic, it is shown that Donald received his hat from a sailor when he was a baby, when Grandma Duck took him for his first visit to Duckburg. There is also reference to the sailor hat in Donald’s full name, Donald Fauntleroy Duck, as a sailor hat was a common accessory for ‘Little Lord Fauntleroy’ suits. 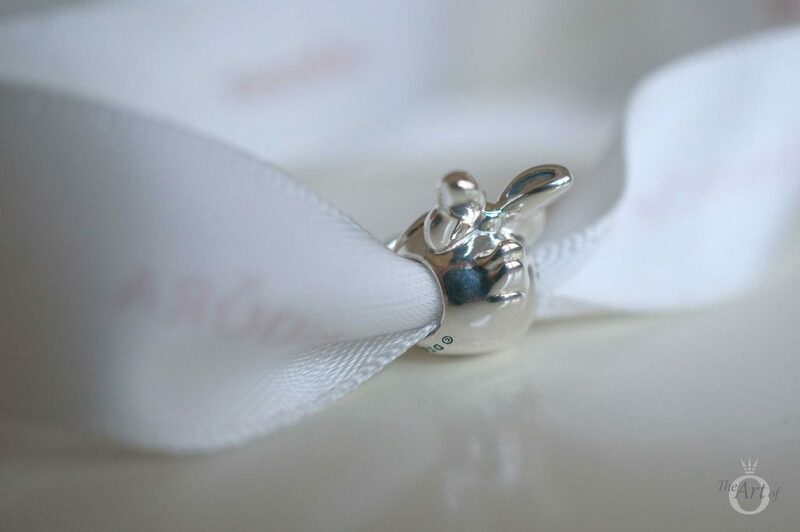 The Donald Duck Portrait Charm is a threaded charm and is a nice size. It is comparable to the Mickey (No. 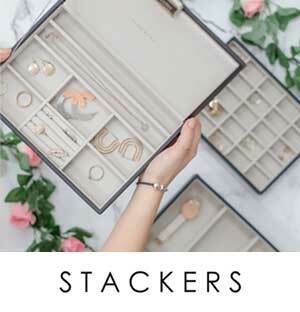 791586) and Minnie Portrait Charms (No. 791587) and is a lot bigger than the Pooh Portrait Charm (No. 791566). The Disney hallmark is very discreet and is underneath the charm on righthand side and the PANDORA hallmark is on the left. 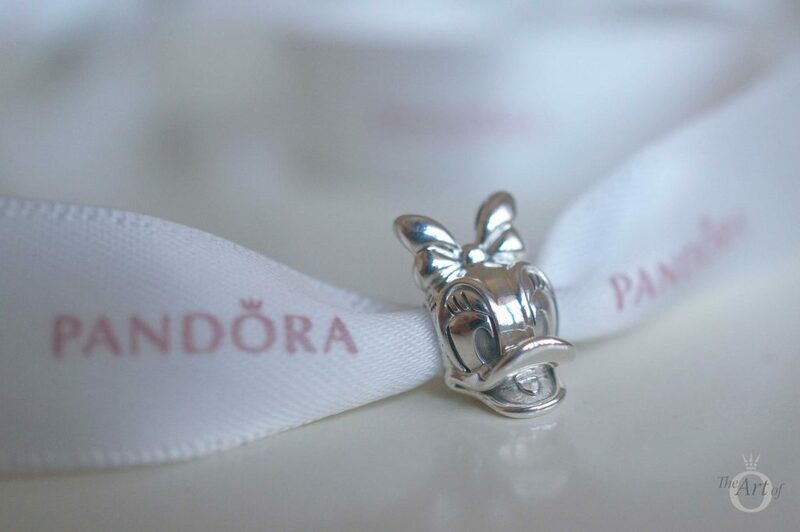 The Daisy Duck Portrait Charm is just as cute as the Donald Charm. Daisy is a true fashionista and always makes sure she looks the part. 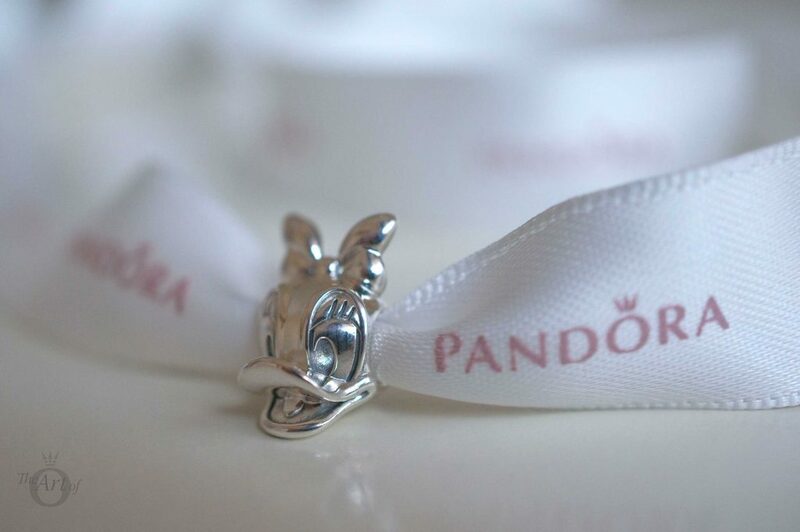 The Daisy Duck Charm portrays her wearing her typical bow on top of her head. 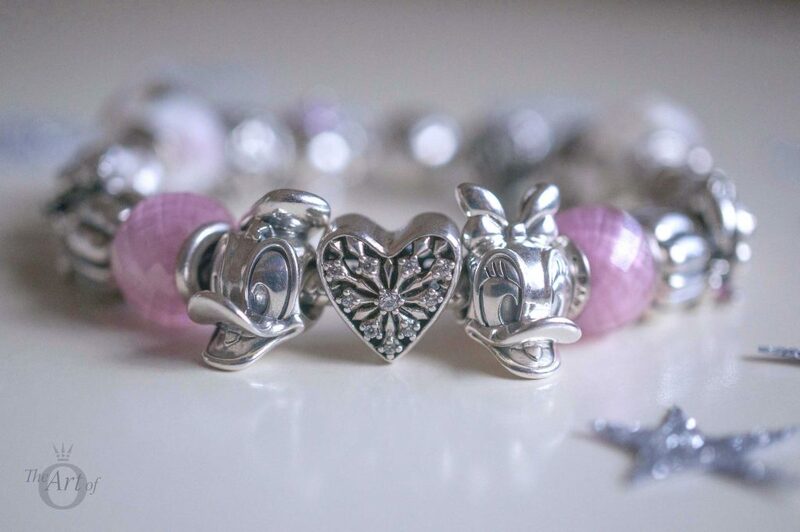 My favourite detail on the Daisy Duck Charm is her eyes which are heavy lidded and lashed to perfection. Daisy is often featured battering her eyes at Donald to get him to do what she wants. If that fails, she nags him! 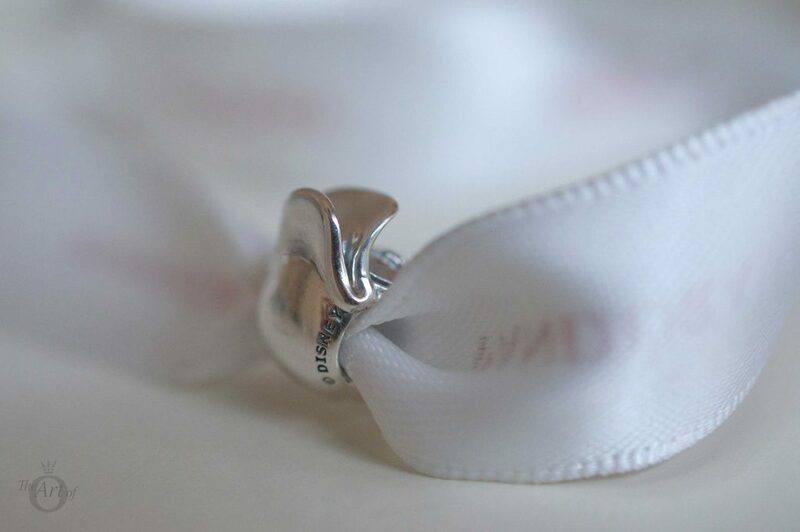 On the reverse of the Daisy Duck Charm is a little tuft of Daisy’s feathers. The charm is super sweet and pleasing to the eye from every angle. Like the Donald Portrait the Daisy Duck Portrait is a threaded charm which gives it a nice amount of weight. The size and detail on the Donald and Daisy charms make them very reasonable for the price. 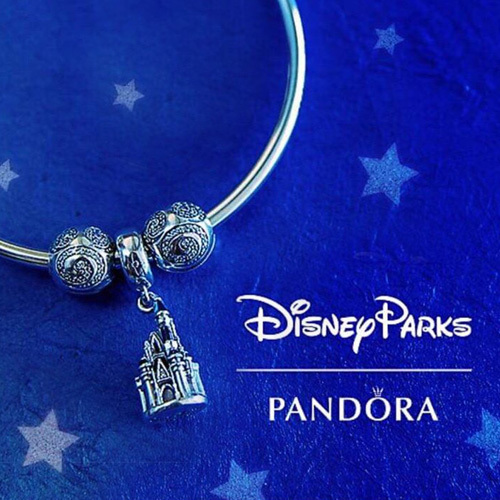 The Disney and PANDORA hallmarks are tucked away underneath the charm at either side. As Donald and Daisy are such a fun couple and obviously very in love, my designs for the Donald and Daisy Duck Portrait Charms are all love themed. 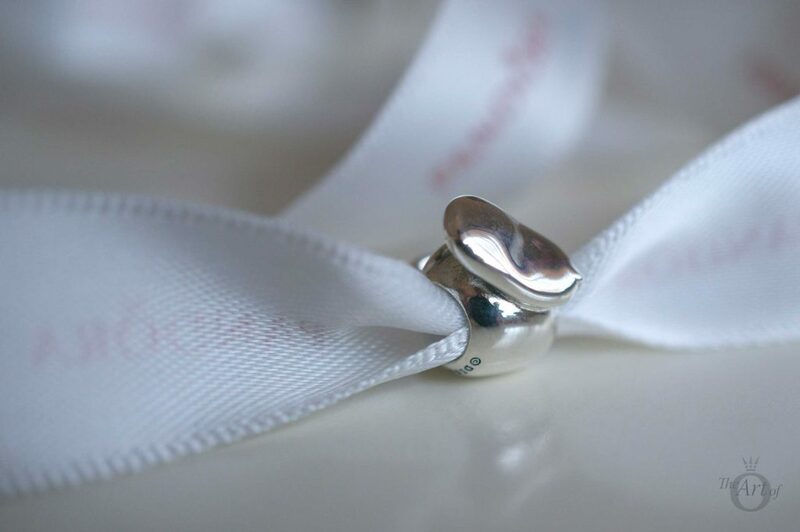 For my first design I used the Cerise Encased in Love Charm (No. 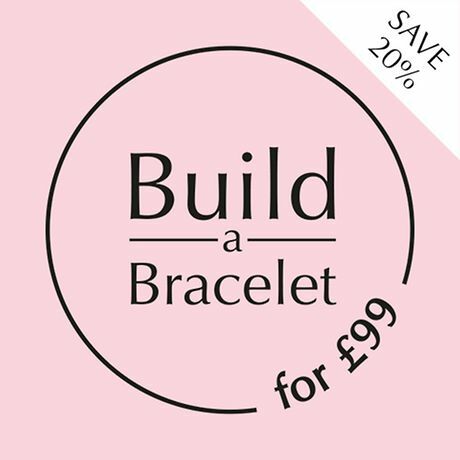 792036ncc) in between Donald and Daisy on the Oxidised Moments Bracelet (No. 590702ox). The contrast of the bright cerise pink and the oxidised silver looks lively and vibrant and is perfect for this seasons Pop Art comeback. 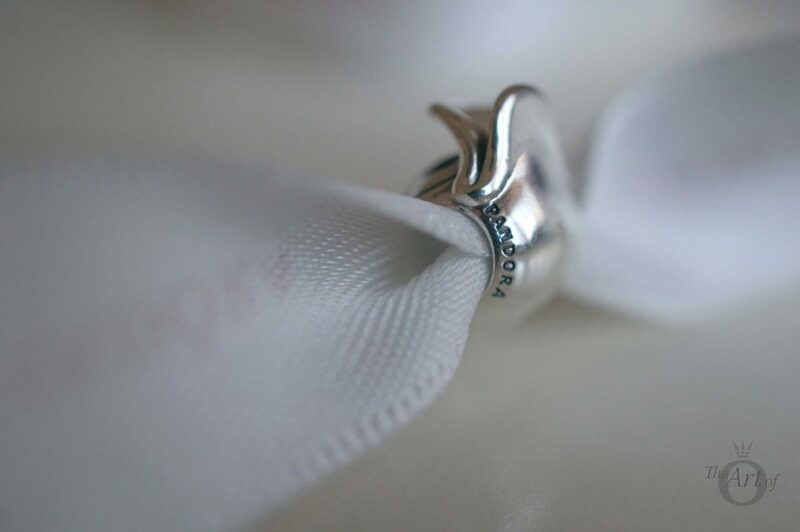 I love how the Oxidised bracelet really highlights the details on the Donald and Daisy Portrait Charms. The Shoreline Sea Glass Murano Charms (No. 791608) add another punch of colour and team wonderfully well with the Encased in Love Charm. 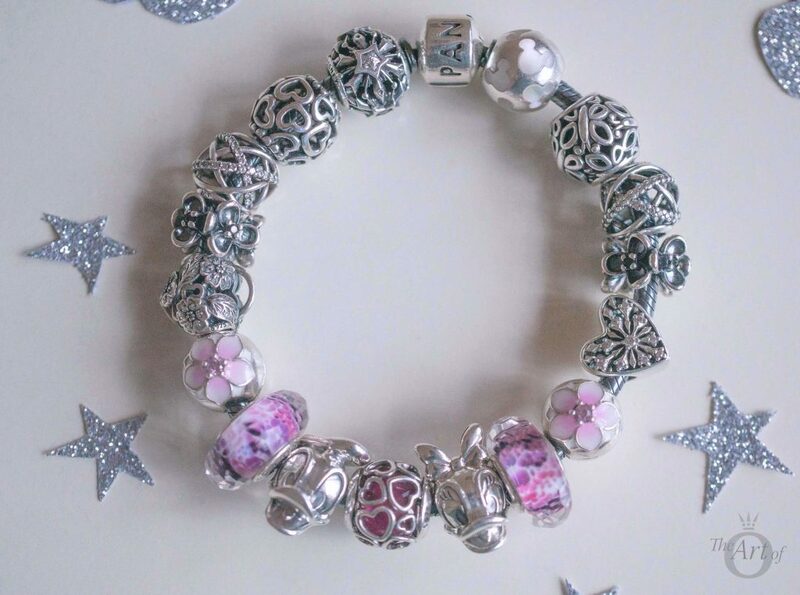 This design would also look fabulous with the three new pastel versions of the Encased in Love charm. 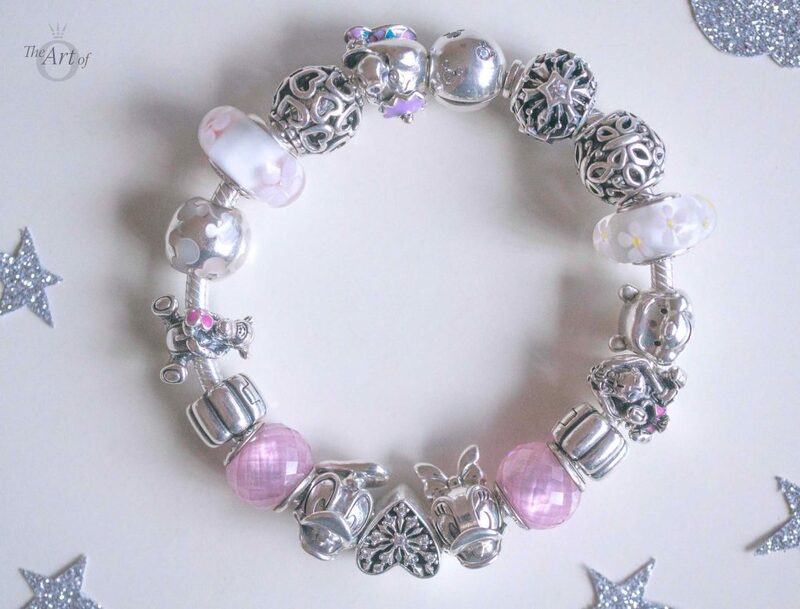 My second design is a pretty baby pink Disney theme, with once again love as the focus. This time the Heart of Winter Charm (No. 791996cz) sits between our beloved couple. The Pink Petite Facets (No. 791499pcz), Cherry Blossom (No. 790947) and Field of Daisies Murano charms (No. 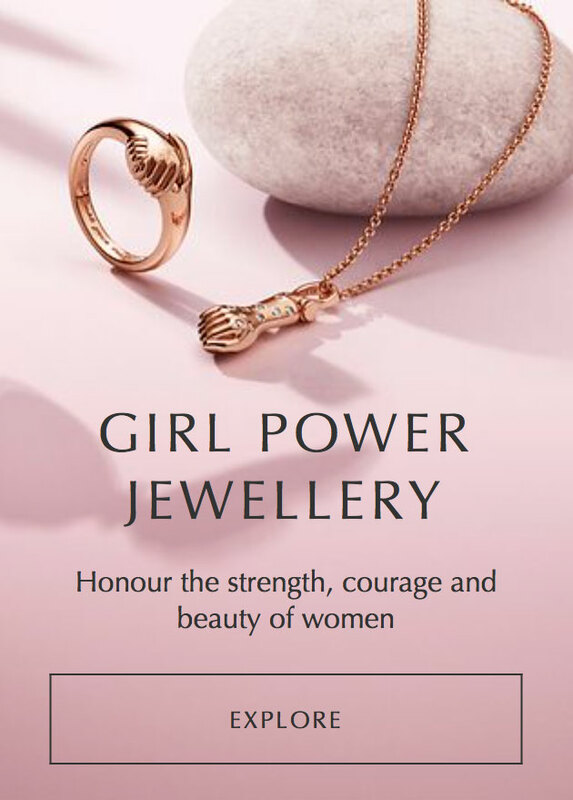 791623) keep this design sweet and feminine. The Mrs Potts & Chip (No. 792141ENMX), Tigger (No. 792135en80) and Eeyore charms (No. 791567en80) add a drop of colour with their enamel details. Sticking with the pink theme I created a floral design on the Pink Double Leather Bracelet (No. 590705cmp-d). 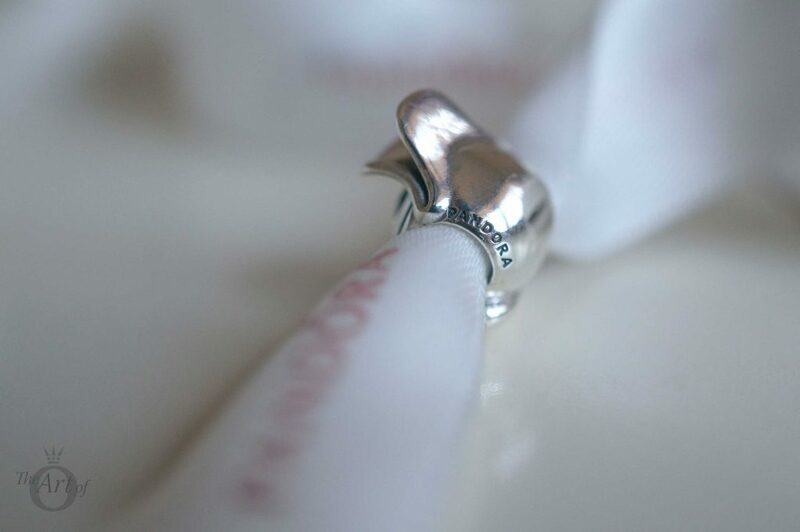 The Magnolia Bloom Charm (No. 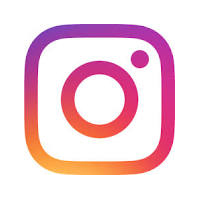 792087PCZ) and Clips (No. 792078pcz) give this styling a light, breezy feel and the overall effect is pretty and romantic. 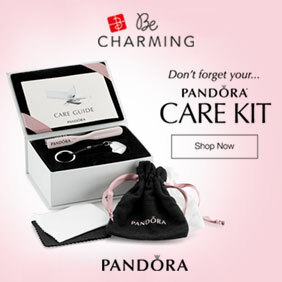 I used the PANDORA Moments Bangle to make a very simple design featuring one of my favourite charms from the 2017 Valentine’s Day Collection. The Pink Bow & Lace Heart (No. 792044ENMX) has a stunning finish with a glossy peachy pink enamel over a lace design. The bow adds emphasis to the Daisy’s stylish bow which is part of her daily wardrobe. Finally I used the Honeysuckle Pink Double Leather Bracelet (No. 590734chp-d) along with the Cerise Encased in Love charm to create an energetic and lively style. This design fits in totally with Donald and Daisy’s high-spirited personalities! My verdict on the Donald and Daisy Portrait Charms? A match made in heaven! 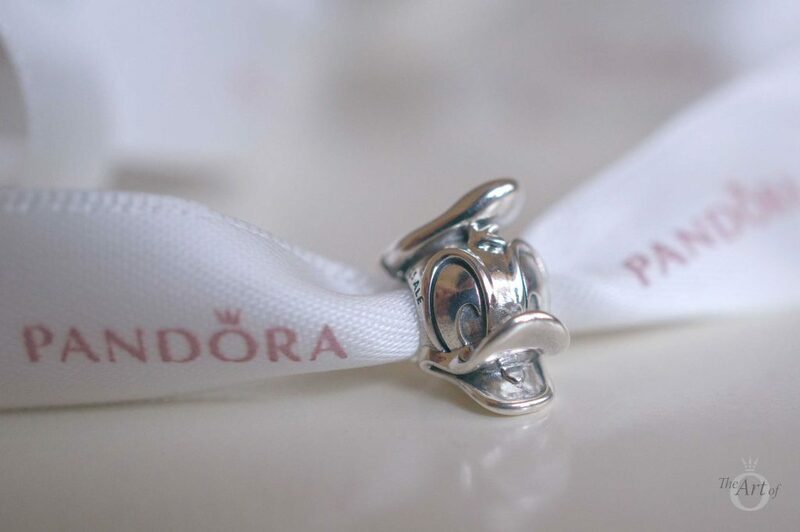 The PANDORA Disney Donald Duck Portrait Charm (No. 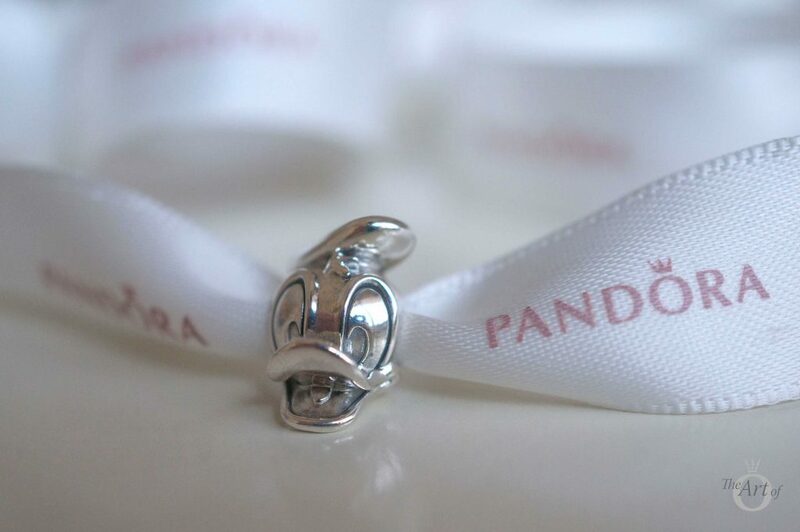 792136) and the PANDORA Disney Daisy Duck Portrait Charm (No. 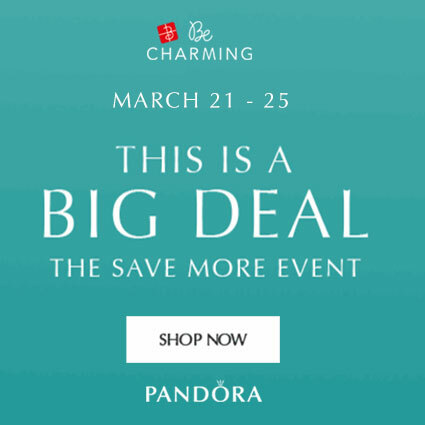 792137) are both $50 US / $55 CAD / $49 AUD and is available from our preferred retailer BeCharming.com along with the rest of the PANDORA Disney Spring 2017 Collection. 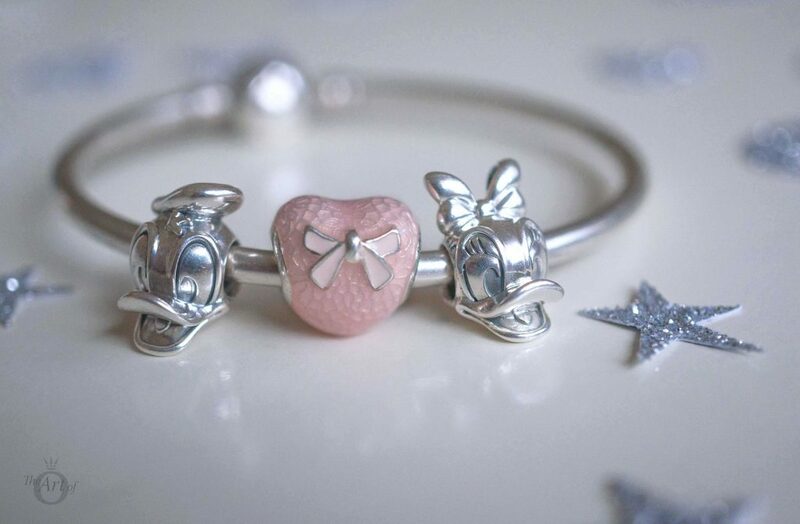 Have you bought either the PANDORA Disney Donald Duck or Daisy Duck Portrait Charms or are they on your wishlist? How do style them? Let us know in the comments below. I love all your combos here but the baby pink Disney themed one is especially sweet. I also think Donald and Daisy are a good value for the price. 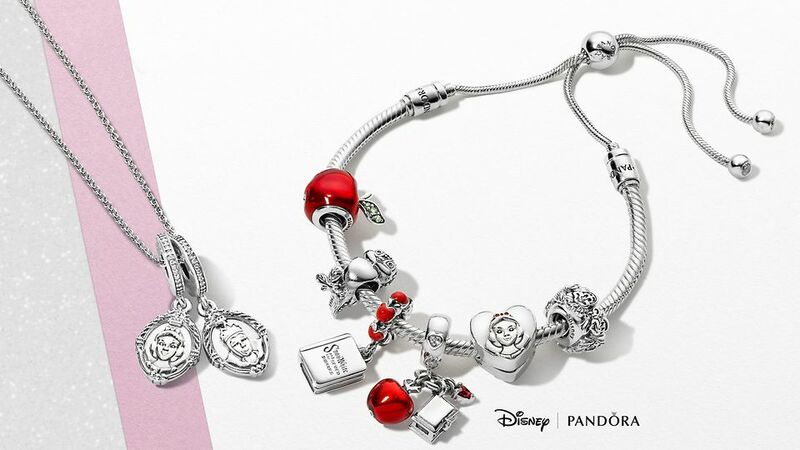 My next Pandora purchase will have to be Donald, as I received Daisy for my Mother’s Day gift. The Winne the Pooh head is also sweet-too many lovely beads! Thanks for the comment. They are a nice chunk of silver for the money. I’m so pleased you will be getting Donald as well, they need to be together! 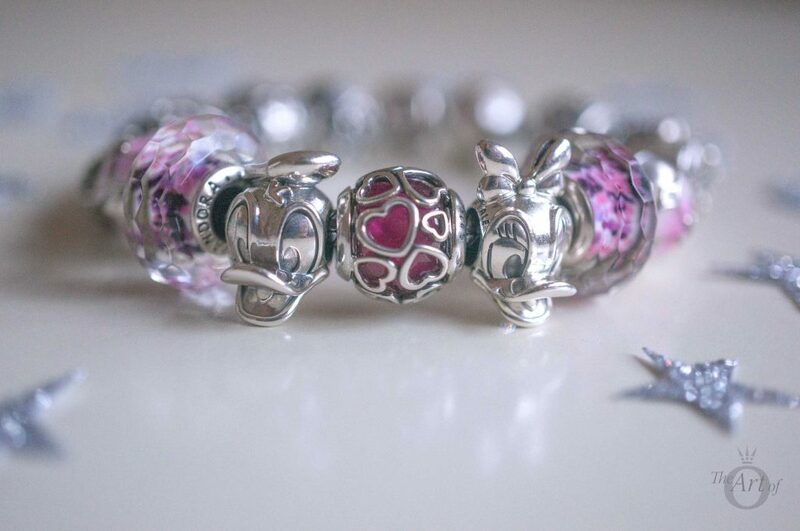 Have you heard the rumour that there will be Lilo & Stitch and Bambi beads coming out in the next PANDORA Disney release? I’m trawling the internet trying to find pictures for a sneak peak but haven’t found anything yet ?